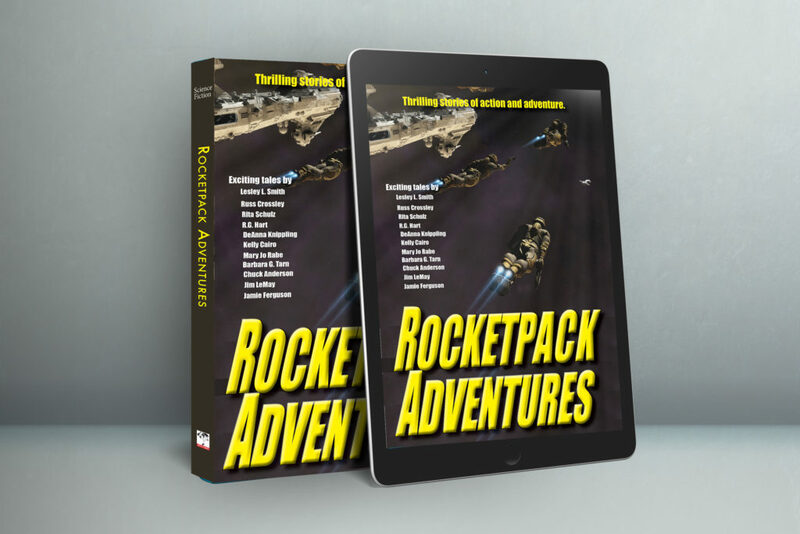 Rocketpack Adventures is curated by Russ Crossley and includes an exclusive Star Minds Lone Wolves Team story by Barbara G.Tarn. Here you have the ebook universal link and paperback. Ten thrilling tales of action and adventure with humans and non-humans donning rocket and jetpacks to take on the future, the past, and alternate universes to defeat evil in all its forms. These exciting stories reignite a genre of science fiction taking readers on a journey of imagination where they will meet citizens of Atlantis struggling for dominance, a jousting tournament in the 42nd century, a young girl living in a steam punk reality, mind bending artificial intelligences far beyond what we know today, a trip back in time to World War II, pulp heroes fighting for truth and justice, and a tale about dragons and jetpacks that will leave you wanting more. Jet across time and space with these talented authors to discover the unexpected in these Rocketpack Adventures! Rocketpack Adventures ebook universal link and paperback.